This week’s readings and class discussion revolved around the concept of “Organizations as Brains.” The authors note a wide variety of connections between the structures and functions of the human brain and the organization and governance of groups. Morgan (2006) draws upon three such comparisons: information processing capabilities, adaptability to changes aka the ability to learn, and holographic abilities. 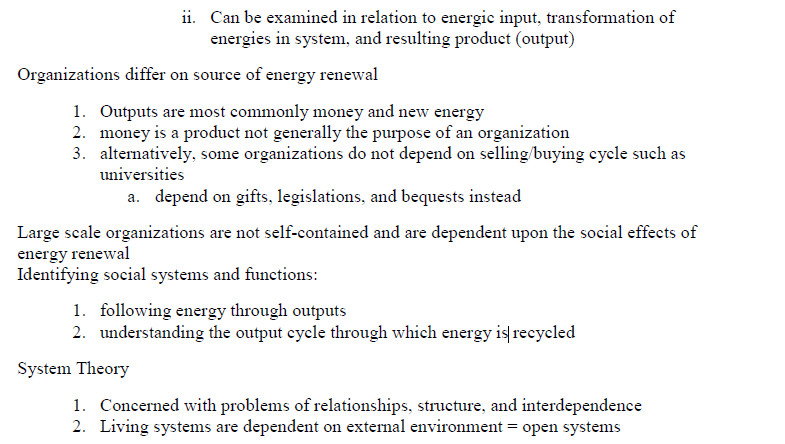 Katz & Kahn (1996) discuss the concept of organizations as open systems, focusing on energy inputs and outputs, but also on how organizations learn and change over time. Kezar (2005) examines learning and organizations, specifically comparing the concepts of organizational learning with learning organizations. Finally, Senge (1990) details specific organizational recommendations for creating a learning organization with great focus on the role of leadership in that process. One trend across the readings and class discussions was the focus on how organizations “learn” and thus change over time as a way of adapting to new situations. A concept that ties all of the readings and class discussion together is learning. Each of the authors addresses how organizations adapt to current realities aka “learn.” This provides great insight into how we think about organizational learning or learning organizations and how these concepts can be implemented into the organizations that we work with. Additionally the authors provide critiques and limitations of organization as a learning entity. When we think about the brain one of the first thoughts that comes to mind is the brain’s close association with thinking and the learning process. 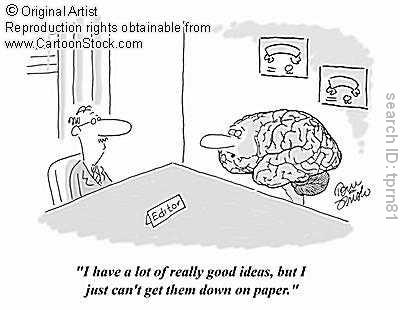 Our brains enable us to take a variety of external stimuli, process them and make meaning from them. 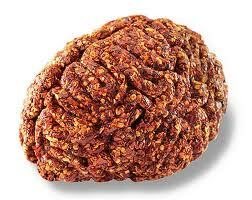 We adapt as a system and make changes based on the information processed by the brain. We see the same principle in both Morgan’s (2006) and Katz & Kahn’s (1996) discussion of organizations. Both authors discuss the strong connection between this environmental information and how organizations are altered as a result. Morgan (2006) specifically discusses the use of single- and double-loop learning to detect information from the environment, evaluate that information, and then make corrective action as necessary. Katz & Kahn (1996) expand upon this concept in their discussion of “information input, negative feedback, and the coding process” as a key component of organizational systems. Additionally, they expand upon the desire for “steady state or homeostasis” and how organizations just like systems will adapt to external/environmental influences. 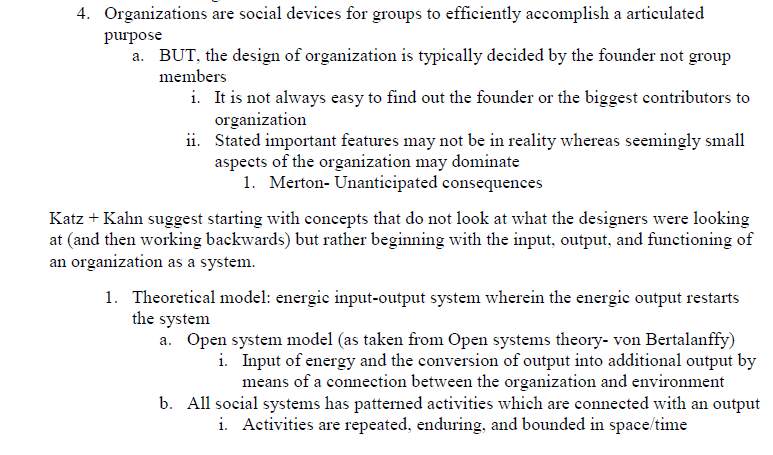 These aspects of open systems are very similar to the single-loop decision making process described by Morgan. Kezar (2005) also discusses the process through which organizations learn via a discussion of organizational learning and learning organizations. Kezar’s analysis of these two concepts relates very strongly to the learning processes described by Morgan and Katz and Kahn. Furthermore, Kezar discusses organizational activities and features which promote the learning process for organizations. There is an emphasis placed upon systematic problem solving, experimentation with new approaches, making meaning of past experiences and quickly and efficiently transferring knowledge and best practices within an organization. To be able to accomplish those learning tasks Kezar encourages organizations to be decentralized with a high degree of trust with strong relationships and solid communication between colleagues. These qualities help establish an environment that encourages the sharing of information and promotes appropriate risk-taking as a way of solving problems. Overall, he shares that it is important to create a learning culture with a shared vision for success. Finally, Senge (1990) contributes to our understanding of how organizations learn by examining the role of the leader. 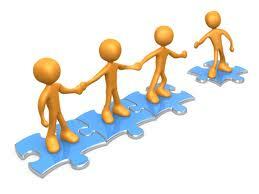 One of the key roles for leaders is to build a collective vision and continue to sculpt that vision over time. A key element in setting the vision is ensuring that creative tension exists thus that there is an appropriate gap between the vision and the current reality that inspires the organization. Leaders must also challenge the existing mental models and through doing so create change and learning. Finally leaders must focus primarily at the systems level and focus less on the day-to-day. By doing so, they are able to take stock of the underlying trends and become a force for bigger change and a greater level of learning. While the authors have established compelling arguments for learning organizations there are several areas for concern. Information sharing across organizations is vital to the learning process, yet there are many barriers to information sharing. While technology is greatly assisting in the communication of vital information within organizations, bureaucracy still remains in the way of the idealistic flow of information. Additionally, while there is a need for organizations to view the learning process as holistic and system-wide, it is difficult for individuals to expand their view beyond their single scope. Organizations need to work on investing all individuals in the greater goals and vision to ensure a successful learning process. Finally, organizational learning is complicated and there seems to be a common underestimation of its complexity. There needs to be a greater understanding at all levels about the complexity of the learning process. To best accomplish organizational learning, groups must fully realize the challenges they must overcome to ensure the greatest outcomes in the learning process. Gareth Morgan uses the brain metaphor because of several characteristics. in the three interconnected areas outlined below. For a detailed summary of Morgan's chapter on the organization as brains and definition of key terms, click BRAINS. Are you a social thinker? Want to read another article by Katz & Kahn? Click here! Organizational Learning (OL): study of whether, how and under what conditions organizations can learn (Fiol & Lyles, 1985). Features within organizations that encourage learning are decentralization (vs. hierarchy), trust between employee and manager, new information systems, incentives and rewards, learning culture, open communication, sharing of information, staff development and training, and inquiry units. Humans are designed for learning. Infants learn walking and talking on their own and have an insatiable drive to explore and experiment. Society in which we live tries to control, rather than promote organic learning. By focusing on performing for someone else’s approval, corporations create a mediocre achievement level. Superior performance depends on superior learning. Learning organizations are those that are fit to grow and survive and are characterized by adaptive learning (coping) and generative learning (creating). Adaptation is essential for ever-changing business environments and also includes perceiving future needs of customers. Creativity is cornerstone to competitive advantage and output and requires new ways of looking at the world. Creative tension is the ability to recognize “vision,” or where one wants to be, and “current reality,” the truth of where one is. The gap between the two generates natural tension. Solutions to creative tension include raising current reality towards the vision or by lowering the vision towards current reality. Without vision there is no creative tension. The traditional authoritarian image of a leader is inadequate for learning organizations. As Edgar Schein recognized, “Leadership is intertwined with cultural formation” and should represent the culture of the organization. Leader as Designer: craft the ideas of “purpose, vision, and core values by which people will live. Leader as Teacher: Define reality and act as a coach for the organization. 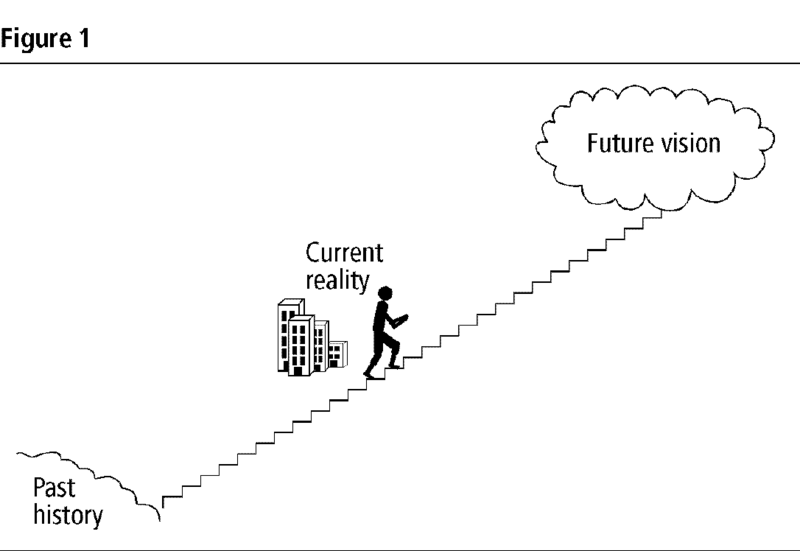 Identify mental models and guide those to restructure views on reality. Influence people to view reality at three distinct levels: events, patterns of behavior, and systemic structure. Leader as Steward: A critical attitude for learning organizations. As Robert Greenleaf states, “The Servant leader is servant first...This conscious choice brings one to aspire to lead”. Stewardship operates on two levels: for the people they lead and for the larger purpose or mission of the enterprise. Building Shared Vision: encouraging personal vision, communicating and asking for support, visioning as an ongoing process, blending extrinsic and intrinsic visions, distinguishing positive from negative visions. Surfacing and Challenging Mental Models: challenge existing mental models without invoking defensiveness. Characterized by seeing leaps of abstraction, balancing inquiry and advocacy, distinguishing espoused theory from theory in use, recognizing and defusing defensive routines. Engaging in Systems Thinking: Leaders focus less on day-to-day events and more on underlying trends and forces of change. 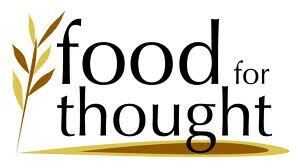 Often engage in systems thinking intuitively and cannot explain their intuitions. Key skills: seeing interrelationships, not things, and processes, not snapshots; moving beyond blame; distinguishing detail complexity from dynamic complexity; focusing on areas of high leverage; avoiding symptomatic solutions. Leaders of learning organizations will need to develop skills to enhance conceptual abilities and foster communication and collaborative inquiry. These include identifying system archetypes that occur repeatedly in organizations. Archetypes include: balancing process with delay, or knowing the time necessary to complete a project and deciding its relevance upon completion; limits to organizational growth; shifting the burden, or focusing on a short-term solution without considering the long-term negative impacts; eroding goals, or lowing standards; escalation, or employees attempted advantages; tragedy of the commons, or overusing a limited resource; and growth and underinvestment. Chartering Strategic Dilemmas: management teams unravel when confronted with core dilemmas. Charles Hampden-Turner details a process to cope with common dilemmas.Eliciting the dilemmas, or identifying opposed values from most obvious; mapping, or locating opposing values as two axes as a visual representation; processing, or getting rid of nouns for positive conceptualization; framing/ contextualizing, or thinking in terms of each side of the structure; sequencing, or breaking hold of static thinking; waving/cycling, or knowing cycles were both values will worsen over a period; and synergizing, the ultimate goal of improving along all axes. “Left-Hand Column”: Surfacing Mental Models: An exercise developed by Chris Argyris illustrating how people move from data to generalization without testing the validity of these generalizations. Marshall Sashkin and N. Warner Burke emphasize the importance of developing leaders who can also develop organizations. Management will focus on roles, skills, and tools for leadership in learning organizations. Our class activity of identifying the similarities and differences between organizational learning and the learning organization helped differentiate the two. At first glance, Adrianna Kezar's description of the learning organization places it out of reach as she refers to it as a "fad", "a contested area", and "an idealized model." After writing down the differences, Kezar's version of the learning organization is clearer. She holds the title to a very high standard and set of activiites; well beyond those seen in organizational learning. After reading Morgan as well, however, we see a different set of standards for the learning organization. Morgan eludes to double-loop learning as moving toward "learning to learn," while Kezar views it as just another method employed in organizational learning. From theorist to theorist, there appears to be overlap in the principles and definitions for organizational learning and the learning organization. It's no wonder the terms conjur up confusing gray areas. Could it be that the learning organizaion is still making its transition from an "idea" to a "reality?" How well defined were such concepts as space exploration or the internet, until we could see it and use it? 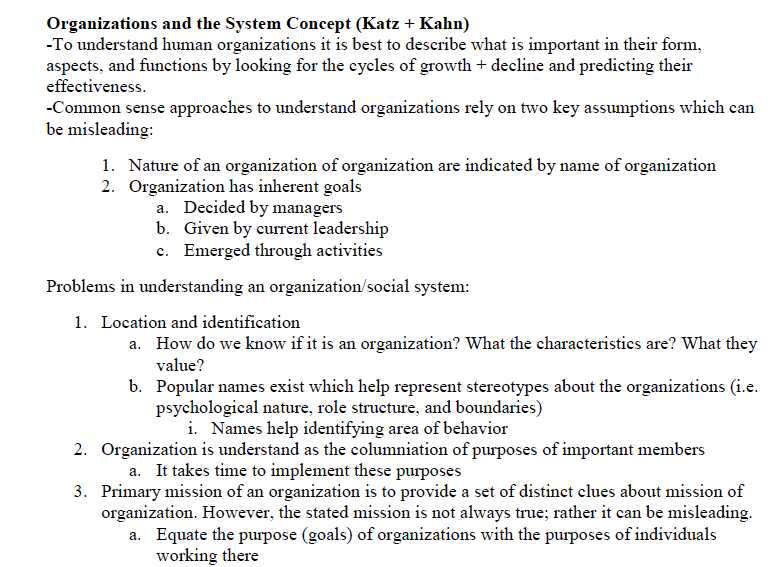 It is difficult to view any organization, let alone an active college setting, as an “open system.” The terminology used by Katz and Kahn to describe an organization is lifeless and foreign when compared with more recent metaphorical images. The nine characteristics outlined in the article have a scientific nature and might gladly have been ignored had it not been for this exercise in class. The informal setting of the activity allowed us to write examples and descriptions at our own pace, as we became comfortable with each characteristic. Intermittent small group discussions moved many of us toward a better understanding of such characteristics as “negative entropy” and “coding process.” The examples we wrote for each characteristic were varied depending on the writer’s perspective. So, this activity served two purposes in the end. It provided realism and clarification to Katz and Kahn’s organization as a system. It also emphasized the reality that members of any group have varied perspectives in viewing an organization and all its parts. Even one of the simpler characteristics, "output," elicited a wide variety of responses. What product(s) are exported into the environment from an institution of higher education? Some of the opposition is based on incomplete information but others express a sincere concern that the faculty committee is really "watering down" the general education requirements. 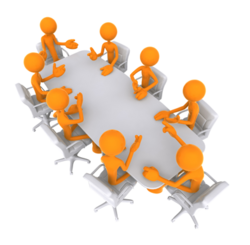 How will the curriculum steering committee handle these external pressures? The characteristics of an open system are playing out here; how will William and Mary adjust, if at all, to the characteristic Katz and Kahn call "information input, negative feedback, and the coding process." Stay tuned: this outside pressure also invokes questions concerning governance. Is curriculum review and change strictly an internal concern under faculty governance as stated by Eugene Tracy? Or, considering the college is tied to the donations of alumni and greater college community, should they have more influence? Our March 28 topics expound on this dichotomy and other issues regarding governance. This activity revealed that many students in our class were not aware of the Mission or Vision statement of The School of Education at William and Mary. However, in broad terms, the activity made our groups realize that we typically identify very general goal statements that are hard to adequately define. 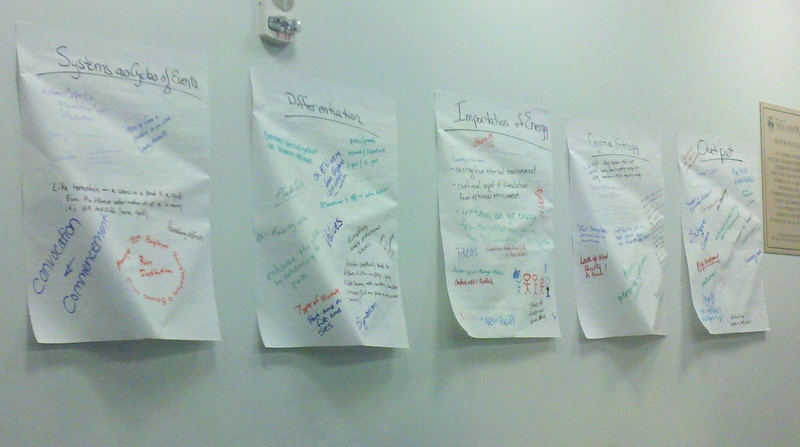 Some members of our group over-defined their goals, creating extensive and encompassing visions. However, there were more people that did not "dream big" and thus created easily attainable dreams for the School of Education at William and Mary. Thus, our groups did not have the creative tension that was described by Senge. 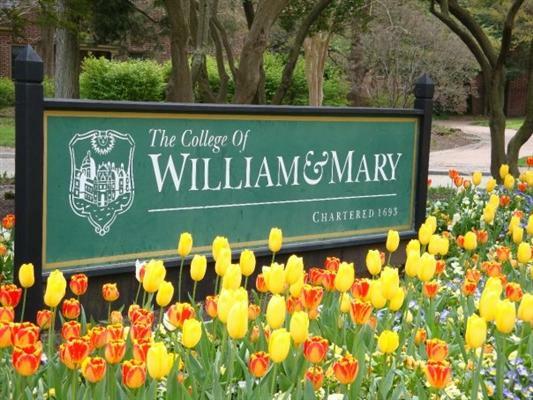 This lack of creative tension can be linked directly to a disconnect between individuals identity being strongly linked with the College of William and Mary/School of Education. If perhaps, the students would have a strong identification with this SOE there would have been a higher degree of creative tension. This exercise really helped our group see the assumptions that we make regarding the vision statements of WM in comparison with other institutions, departments, and fields. As Bob Dylan once sang, “For the times, they are a changin’." A curriculum change,that is, here at The College of William and Mary. The current general education requirements were established over twenty years ago when the environment was much different. Reduced state funding and a shift in expectations for graduates are just two reasons for the curriculum revision. The current system of “gen. ed.” requirements is unsustainable and ineffective in preparing today’s graduate for the current workforce. In April, 2011, a steering committee started with discussions about what type of Liberal Arts Curriculum the college should have. By February, 2012, we had our first glimpse of the proposed new curriculum, although it is still in a skeletal form with few details. We believe the steering committee employed many of the concepts discussed in this week’s topics of organizational learning, the learning organization and organizations as brains. The table below summarizes some of the observed applications. They initially questioned: “What kind of Liberal Arts Curriculum would we like to create? Will we create something new or adjust what we have?” Focus groups of faculty and students also met to discuss where we see ourselves in relation to the Liberal Arts and what our vision is over the next 20 years. Subcommittees were formed for data collection, institutional memory and research on other models. The Curriculum Review Steering Committee was given little initial direction. There is latitude inside the accreditation requirement of 30 hours of general education coursework. The curriculum committee presented the new concept of the College Curriculum to faculty for discussion. A pilot program and/or small scale version of the College Curriculum will precede any broad changes. 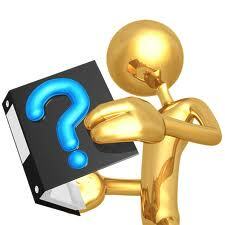 They are considering implementation in disciplines where the change is most natural and success is most likely first. The steering committee has several different ways to achieve an improved the curriculum. The Curriculum Committee researched peer institutions. Anne: It makes sense to me. I'm left handed!